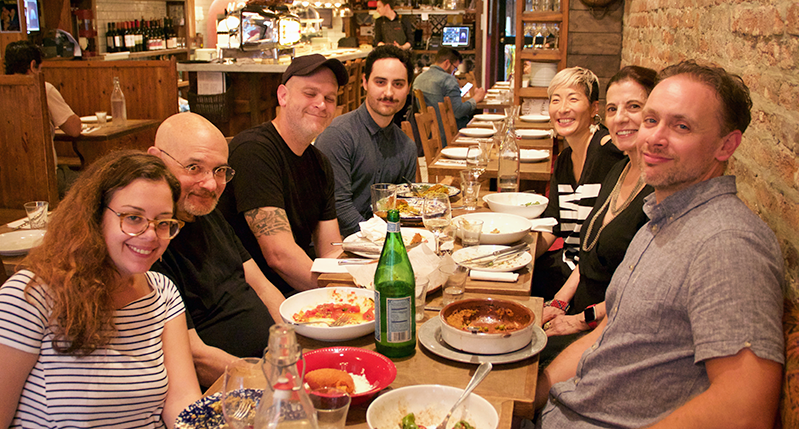 As a torrential downpour hit Manhattan, MFAD alums took shelter at Norma, a cozy Sicilian restaurant nestled in Kips Bay. 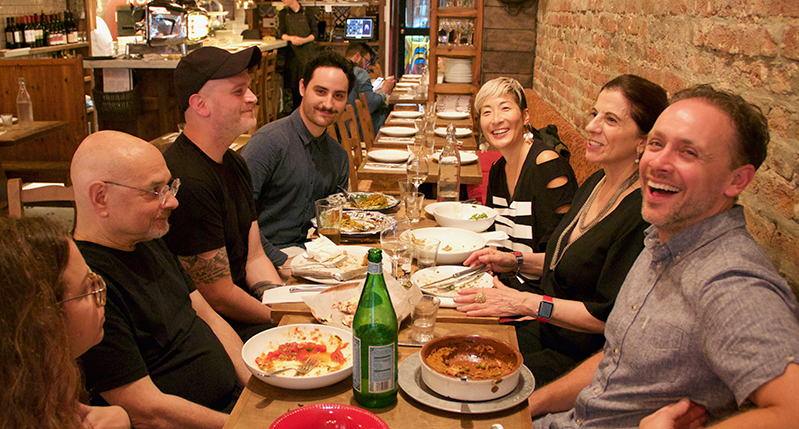 Over antipasti and classic Italian dishes, Steve, Lita, and a group of six MFADers shared stories about family, work, and the future. We learned that Celia Cheng (’05) has moved to Honolulu to run a design studio and work with letterpress, in between sunsets and tropical excursions. 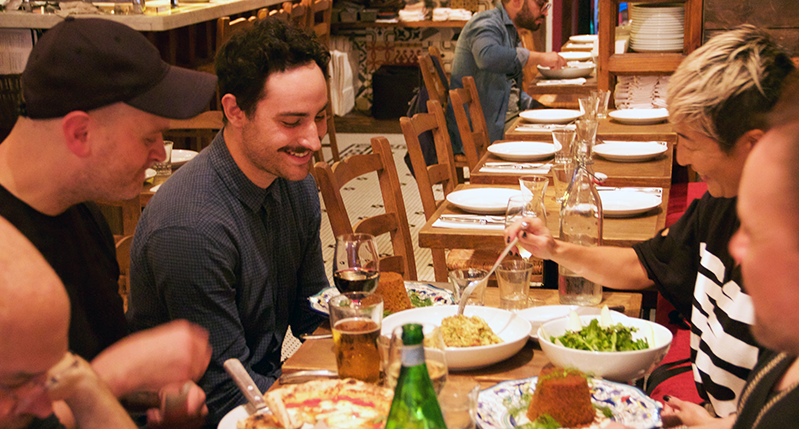 Felipe Garcia (’15) is consulting business strategy to companies including JP Morgan, while Laura Mauriello (’18), fresh from graduation, is running a modern Israeli restaurant in Brooklyn (check out their fabulous branding!). Two graduates from 2005, Chris Ritchie and Johnathan Swafford, are occupied between creative direction at the Wall Street Journal, as well as their personal studios (COA Design and Aqualamb, respectively). Julia Marsh (’19) shared updates on her thesis venture, which centers around zero waste design and the development of a seaweed-based biopackaging material. 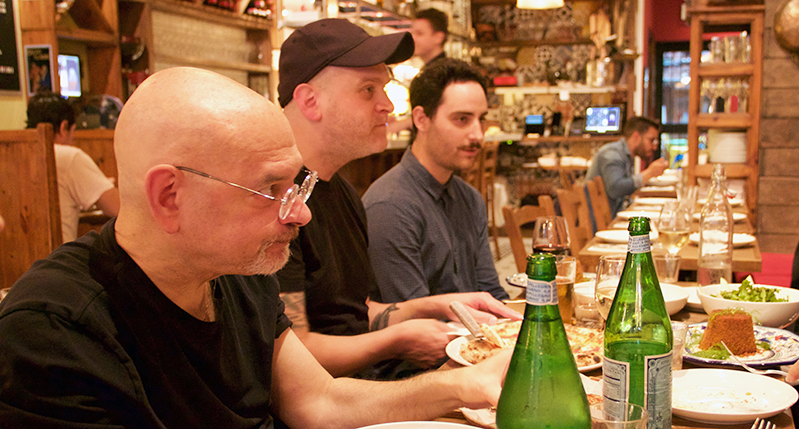 This gathering was a positive reminder of the community our program fosters, and the undeniable truth that Italian food is always a good idea.